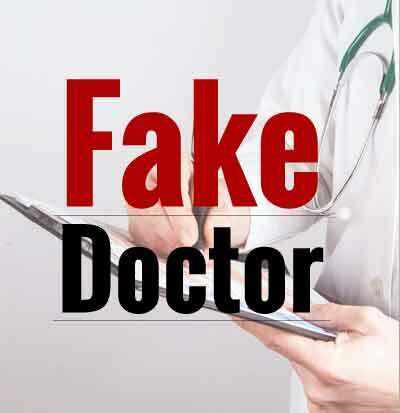 Australian authorities have been left baffled after the discovery that a fake impostor had been practicing as a medical practitioner in the country for the past 11 years. The man has been now identified as Shyam Acharya, who was working or NSW Health as a junior doctor from 2003 to May 2014 at hospitals in Manly, Wyong, Hornsby and Gosford. It was in November 2016, when the Australian Health Practitioner Regulation Agency began investigating him for “falsely holding himself out as a registered medical practitioner”. NSW Health was notified shortly afterwards and launched its own investigation, deputy secretary Karen Crawshaw stated. He has been charged under section 116 of the Health Practitioner National Regulation Law (NSW), which makes it an offence to use a title that could make others believe you are a registered medical professional. Mr Crawshaw said, if he convicted against the said charges he would have to faces a fine of up to $30,000. Authorities have been unable to find or contact Mr Acharya, saying his current whereabouts are unknown. surprised & shocked!….thank GOD he has not killed any patient! They found one and are aghast . Here at home they outnumber us…? Poor Shyam Acharya,when he was so clever to survive in Australia for 11 years ,,,should have stayed back in India and had flourished.We have rules for educated and trained but no rules for QUACKS…..
What about thousands of people PRACTICING medicine in our own country? There are two types of QUACKS , the one\’s who practice/ project as a Doctor . And the second holding degrees but with out required knowledge and skills ( getting degrees by one or the other means) And The third categery self declared super specialists calling them selves as cardiologist, Diabetiologist so on so Forth………it\’s better we worry about such ILLTRAINED Doctors with in the country instead of commenting on some one from Australia. Why can\’t the Australians have their own DOCTORS ? . We our self are not have the Talented Doctors, the good either runaway to the west , Gulf or work for the corporate Hospitals , DESPITE getting free GOVERNMENT seats and learning clinical skills at the COST of the poor patients. When it comes helping the same poor patients they come out hundred ten excuses. The Government SPENDS more than a CRORE RUPEES in making of a MBBS DOCTOR. Unfortunately public is UNAWARE of such things. Every Doctor PASSING out from the Government cuota / seat should be compulsorily made to work at least for 6 YEARS. For the Government. I am sure Majority of the Doctors hate my views.